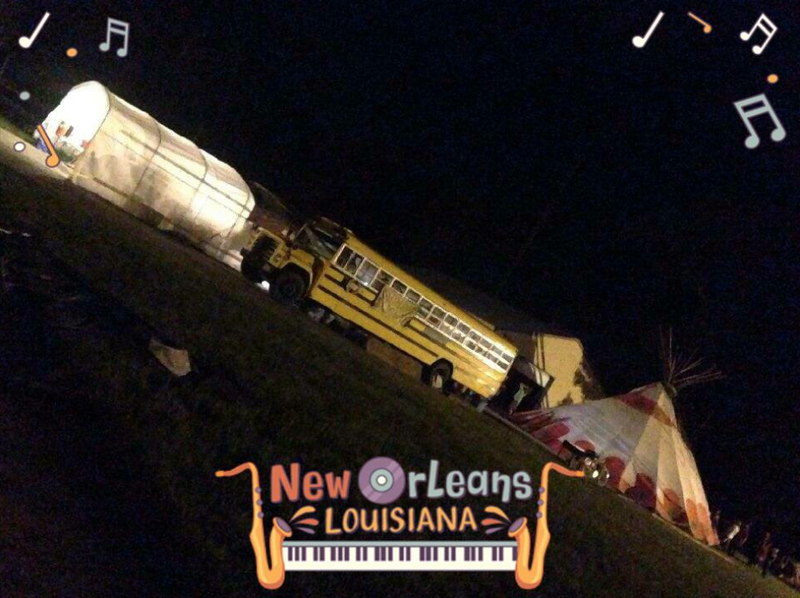 Cultural convergence protecting the sacred continues as New Orleans group travels to Standing Rock to oppose pipeline. Indigenous led group joins Shining Light Kitchen to bring food, medicine, tribal support and solidarity to North Dakota protest camp. NOLA Supports Standing Rock and Shining Light Kitchen will caravan on October 9-16, 2016 to bring organic New Orleans cuisine, all natural herbal remedies, local tribal support and South Louisiana solidarity to the Standing Rock Sioux Tribe, which is leading the fight against the Dakota Access Pipeline project. 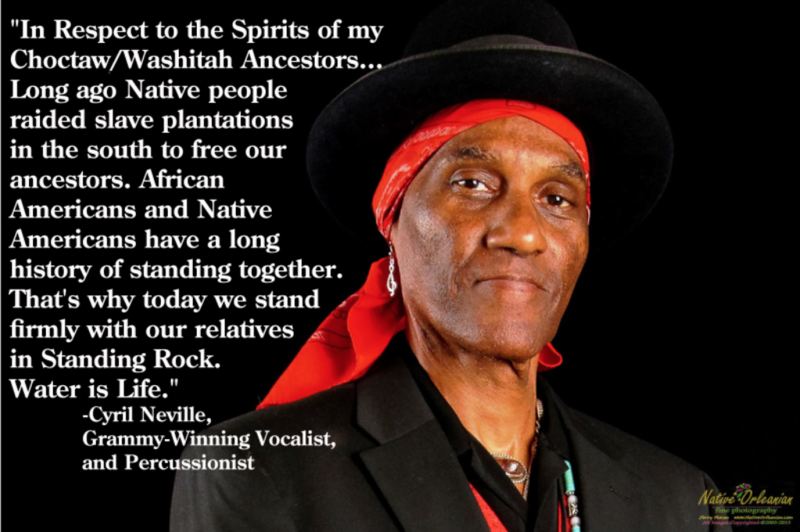 Opposition to the controversial pipeline project has garnered international outcry with both President Obama, the United Nations and over 280 Indigenous nations, cities and organizations from around the globe joining the tribe’s call to stop the construction of the prophesied “Black Snake”. This pipeline threatens the tribe’s sole source of drinking water, construction has already destroyed sacred sites and burial grounds, while causing serious violations to peaceful protesters civil rights. Fears that a major spill upriver from New Orleans will potentially affect the water of some 20 million people downstream have spurred the groups intentions to mobilize in support of the protection of the water for future generations. South Louisiana wetlands are disappearing at the alarming rate of 25-35 square miles per year. This loss represents 80% of the coastal wetlands loss in the entire U.S. By 2050, coastal LA will lose more than 630,000 acres of coastal marshes, swamps and islands. “As climate change takes a crash landing from the future to the now, the people of Louisiana are getting the brunt of climate change, with the oceans warming and becoming ever increasingly acidic, there will be more rain than we can handle. This year has marked the warmest months, July and August, on record. 31” of rain fell in 2 days in August 2016, resulting in mass flooding in the greater Baton Rouge area, that destroyed thousands of homes, and took lives,” continues Miss Coleman. The Shining Light Kitchen just wrapped up 6 weeks of disaster relief efforts in Baton Rouge, providing an organic kitchen and meals to those displaced by the recent flooding. The Kitchen will provide a 40-foot tipi that houses the fully equipped kitchen, along with a water purification system. Culturally, New Orleans celebrates indigenous culture through the esteemed Mardi Gras Indians (AKA Black Indians). Lakota Chief, Arvol Lookinghorse visited New Orleans in the wake of a vision by Tootie Montana, and David Carson in 1995 which coincided the birth of a White Buffalo in Janesville Wisconsin. The city welcomed him as a keeper of the Sacred White Buffalo Prophecy in proclamations (see proclamations at www.whitebuffaloday.com). This coming together was significant in light of the long history of African Americans and Native Americans kinship during times of slavery. New Orleans has played a significant role in the preservation and evolution of these cultures mixing which has influenced carnival, our musical heritage and other creative innovations. Our shared values as diverse people implies that we stand together when facing a common threat. A threat to our water is not an existential threat, it is a major concern for the health of our families and children. New Orleans is revered around the world as a cultural hub for the Arts, from its famous Jazz and Theater, astounding colonial French and Spanish architecture to most importantly its cuisine – born of French, African, Native American and Créole influences – that have graced this city for nearly three centuries. Despite this wonderful identity, what many people don’t know about New Orleans is that it has a very rich Native American history as well that is still prevalent today and is even memorialized in our street names and Mardi Gras krewes. For example, the N.O. areas known as Tchoupitoulas Street and Chef Menteur Highway is named for the Hạcha-pit-itula people who lived there while the highway is named for the Choctaw chief who was banished with his family and cohorts to that region. Furthermore, the carnival Krewes of Tchefunte and Chahta are named for the Hachofakti (a much older tribe) and Choctaw peoples respectively who inhabited the surrounding areas of New Orleans, thriving through established trade routes along the Tchefuncte River through Lake Pontchartrain with their northern cousins, the Bayou Lacombe Choctaws in St. Tammany Parish to the Houmas in the south among other tribal bands. Even after European arrival, the tribes co-existed with many of the French and Africans selling goods such as filé, baskets and herbs in the French Market and even intermarrying with them. The Mardi Gras Indians are proof of such unions as they are the descendants of escaped slaves and Native Americans who established Maroon communities on the outskirts of New Orleans (black and red makes maroon hence the name) and today continue to carry on their legacy by annually masking to honor their unique heritage of both black and Native ancestry. 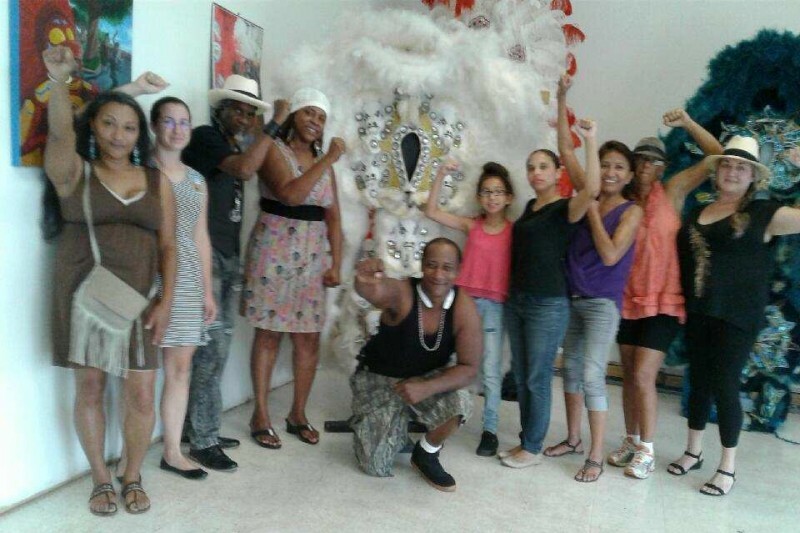 “We say this to clarify that Native history has always been a part of New Orleans history and continues to be today, and that we are here standing with all those not only in this country, but around the globe who stand in solidarity with the brave souls on the front lines in Standing Rock, ND who fight for our “unalienable rights” for Life,” says Sierra Lyn, member of the Bayou Lacombe Band of Choctaw. “With a record of broken treaties, another broken treaty is something that we cannot ignore. We owe it to our relatives at Standing Rock to stand with them as they protect their land and our shared water. We may not be able to erase the injustices of the past, but together we can say no to injustices today. This is how we build a better world for future generations, this is what our great city committed to when Chief Arvol Lookinghorse visited us. This is our legacy, our responsibility, this is how we create change and birth hope across cultural divides.” Statement from NOLA Supports Standing Rock. Nola Supports Standing Rock is a group founded to gather local information and resources to Stand in Solidarity with the Standing Rock Sioux Tribe. The caravan will bring food for hundreds of people and supplies to make fresh honey based cough syrup. Winter is setting in and it is going to be a long haul for everyone who is at camp. We are going to be making gumbo,and Etouffee, to keep them warm while we are there. If you would like to support this historic offering, please visit here.